New on the dance performance scene are a group who call themselves the Fusion Fighters. 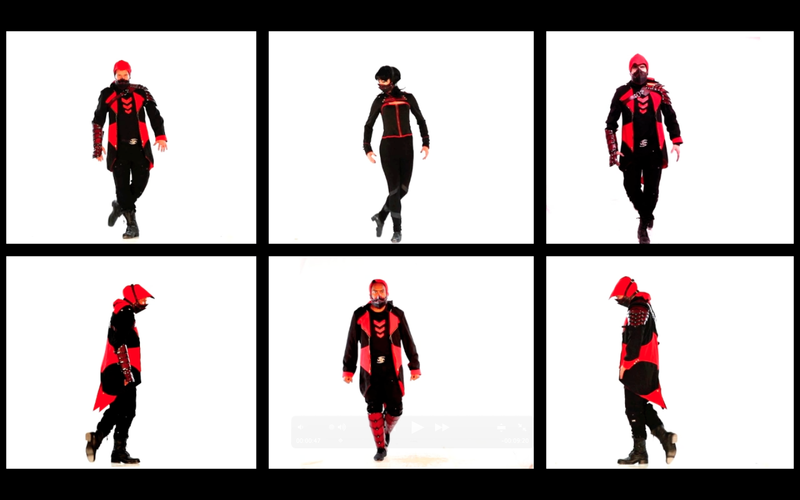 Wearing custom tap shoes and masks, these dancers combine Irish, tap, African gumboot, and hip hop, in an effort to push the limits of how each of these separate dance forms have traditionally been viewed. A masked identity allows the Fusion Fighters to transcend boundaries. “Because of a lack of identity of age, race, or color, our performance is accessible to a wide group of people,” said one of the dancers. So how did this group come about? Two of the dancers had worked in Africa, learning the gumboot dancing. They met together in New York and found that they had similar goals: to bring something new to the dance performance world, and experiment with interactivity, technology, and comedy. 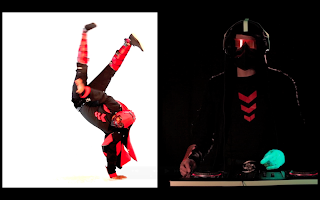 The dancers agree: “We are more than a dance crew, we involve interaction with the audience through comedy, instruments, music, film, and technology.” Plans for more events with the Fusion Fighter's DJ, including laser lights, looping pedals and responsive technology, are already in the works. 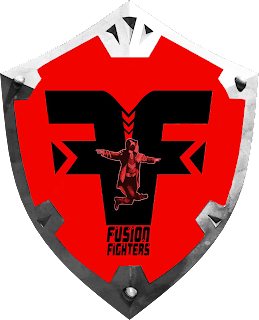 Each of the dancers in the Fusion Fighters is an elite performer—a world champion in his or her field. They are multi-talented dancers who are able to perform each of the disciplines, and collaborate on the dance forms. Much of the preparation for performances is done separately. The choreographers get together for a creative period and focus on the steps, making sure that each dance form is incorporated into the whole. The dances are then recorded, and each dancer starts his or her own rehearsal. A few weekends before a show, rehearsal are held together in London, working together to finalize the dancing. Costuming for the Fusion Fighters is as eclectic as its members. Each piece of the “armor” you see in their first video was selected from vendors all over the world—Asia, Africa, and Europe. 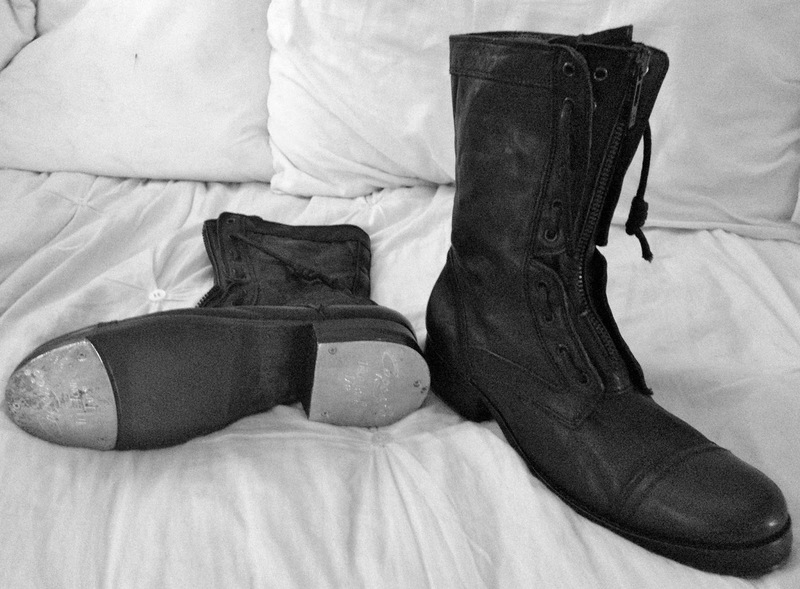 “I had a contact at Bloomindales, of all places, and got the boots for a great price,” one of the Fusion Fighters said. “We found a cobbler and had them custom made with taps.” The female member of Fusion Fighters was unsure of how the armor would work out for her, but she quickly got on board with the unique costuming. New masks are already purchased—you will get a chance to see them soon. The group’s first video went live in March, and showcased the Fusion Fighter’s ability to pull the many aspects of each dance form into an engaging, limit-pushing experience. Currently the Fusion Fighters are performing at nightclubs and other events through Tourism of Ireland. They will be performing on a larger scale at the University of Limerick, The Gathering (in Dublin, Ireland), and the City of London Festival, among others, and boast a corporate crew who are available for performances anywhere in the UK. New videos are already in progress, each one very different, and plans for the future include performances with many unique interactive, and comedic elements. “We want to bring people together and encourage Irish dancers to help and support each other, and not focus on the competitive nature that stems from Irish dance,” a Fusion Fighter said. "It's far from just being Irish; there are many different flavors in the melting pot that will appeal to a large range of people and ages. We want to be on the cusp of the wave of groups out there who are pushing along to experiment and evolve"
Watch for a groundbreaking video from Fusion Fighters, coming this summer. 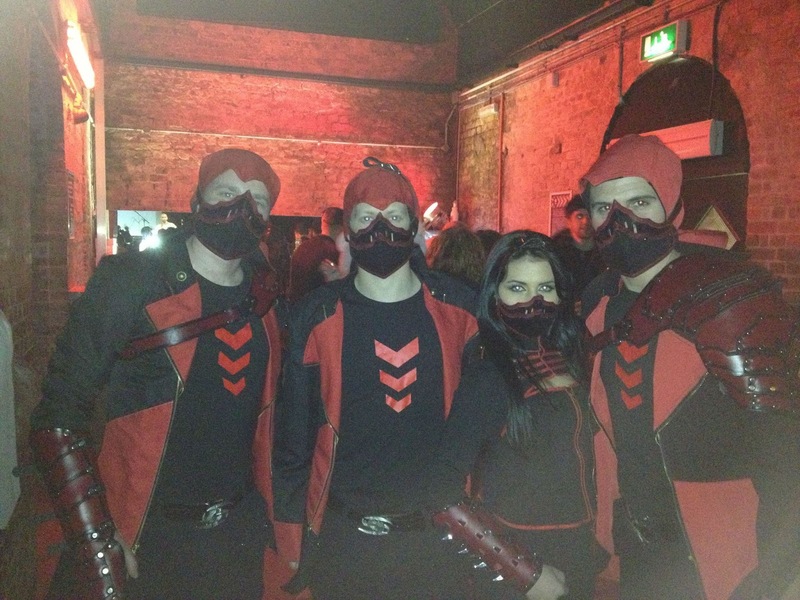 Fusion Fighters "painting the town red"